As I gazed at this massive fortification, I couldn’t help but be impressed by the cleverness of its location. It would be very difficult for any enemy to scale the walls, cross the courtyards, pass the defensive bunkers, and then ascend, via a precarious climb up a series of steep, rock stairs, and wooden ladders, through the various levels of the fortification, all the way to the summit. But once I saw this layout, I knew that I wanted to be one of the tourists who actually did reach the top! I signed up to participate in a hike, one of the optional excursions offered on my AmaWaterways luxury river cruise along the Danube, and that was certainly my intention. 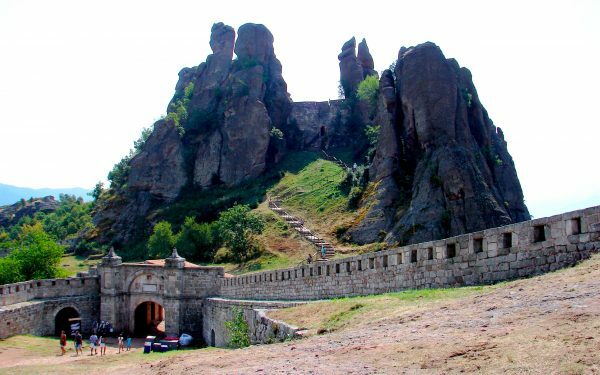 I entered the fortress through the large stone gate, passing the massive outer walls, and made my way across the three courtyards, the tunnels, and the inner walls and arrived at the base of the rocks. Here, I was faced with a series of steep rock stairs leading to a plateau. At this point, part way up the wall of rocks, I had a great view of the surrounding area. Many of the hiking tourists decided that this was far enough to climb. But as some started their descent, others pushed on. I was determined to climb to the summit. I eventually made it, ascending on a series of steep wooden ladders where I was rewarded with an even more spectacular view of the area, including the village nestled down below and the vast body of red rocks that stretched far into the distance. I also witnessed an up close and personal view of those massive rock structures that formed part of the fortification itself! Several of these impressive rock formations have been given names: Adam and Eve, Monks, the Shepherd Boy, the Madonna, the Horseman, the Camel, the Lion, the Bear, and the Schoolgirl. Many have legends associated with them. As I stood at the summit, I noticed that there weren’t many barriers or fences, so caution was necessary. I would be nervous if I had young children up here, but some had certainly made the climb. I also saw several adults taking ‘selfies’ while standing very close to the edge! Many caves have been formed in the area’s rocks. The most famous of these is the nearby Magura Cave, with its prehistoric cave paintings. Furthermore, while you’re in the area, I’d also recommend a visit to the nearby Baba Vida Fortress, a well-preserved medieval fortress located in Vidin. 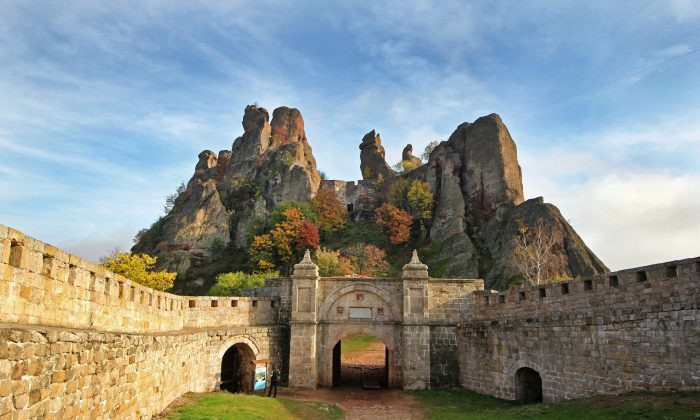 Indeed, this northwestern area of Bulgaria proved to be a fascinating destination. 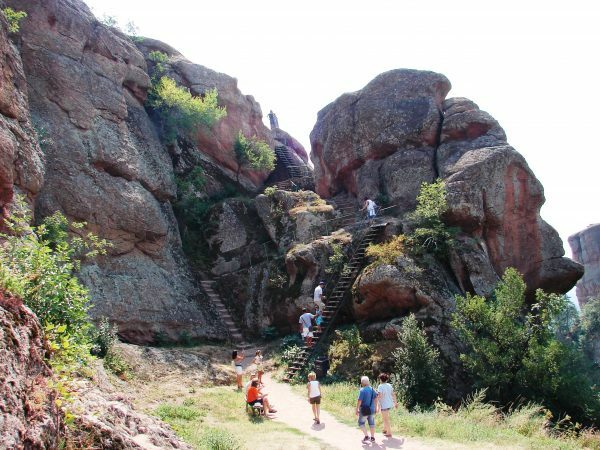 The highlight for me was my successful hike to the summit of the Belogradchik Fortress. John M. Smith is a travel writer and photographer who resides in Ontario’s Prince Edward County, Canada.